How corporate training and development leads to the success of your business? The fast-paced and ever changing corporate world needs training and development programs to keep up with different challenges. The annual report that analyzes the ‘FORTUNE 100 best companies to work for‘ states that the 100 best companies are committed to employee development as a top strategic priority. Employees are considered to be the most valuable asset of a company and investing in their training further enhances their capabilities and productivity. A three-year researched project commissioned by Middlesex University’s institute for work based learning found that from a 4300 workers sample, 74% felt that they were not achieving their full potential at work due to lack of development opportunities. The result of this research highlights the importance of training and development to ensure successful business continuity. There is a myriad of benefits that companies enjoy by incorporating training and development in their strategic plans, some are more obvious than others: Sales and product knowledge training leads to increased revenue and market share, service training leads to better customer service experience and brand loyalty, innovation training generates new ways of thinking, potentially leading to new products and services. One of the main challenges of a company is to stay ahead of its competitors. Developing a competitive advantage can be tedious. Different strategies need to be implemented to stand out of the crowd. Training and development plays a big role to make a real difference. By making sure that staffs are constantly progressing, the company automatically gains more value and continues to move forward with a strong position in the market. Training has been found to link with improving job satisfaction and employee intention to stay in a company. It has a direct impact on motivation which reduces employee turnover and increases productivity. This leads to more profitability. In other words, investing time and money in employees make them feel more valued, leading to a positive relationship between company and worker. Let’s face it: recruiting new employees often involves additional costs. With the implementation of training, your existing staff becomes more eligible for internal promotion. This can be a real advantage as unlike new staffs, existing employees have better insights about the organization along with the required skills. They are people with whom you already have a certain trust and they already know how the company operates. Training and development is the best way to figure out what are the skill gaps in your company. For instance, at Procurement and Supply Chain Academy, individual learning plans are assigned to employees, following an in-depth buyer assessment and gap analysis. This allows each buyer to get a clear picture of which competences need training and how much. This critical overview allows managers to determine whether the employees have the necessary skills to meet the company’s objective. In this way, skills shortcomings are tackled and improved for more productivity. Studies have shown that 60% of employees would opt to stay with an employer that invests in their professional development, rather than go to an employer that pays more but does not invest in professional development. It is indispensable to keep employees engaged at work. Higher retention rates and less labor turnover is crucial for the success of your business. All this can happen with a good training and development plan to keep the employees motivated. Besides, the cost of retaining existing employees is much less than replacing them. According to CED Magazine seven out of ten respondents in a 2015 survey said that job-related training and development opportunities directly influence their decision to stay in a company. It is no surprise that training and development naturally leads to more productivity. By making sure that necessary training is given to employees to improve their skills, the company is in turn ensuring a higher productivity rate. Well trained employees show both quality and quantity performance. This leads to less wastage of time, resources and money. Every company wants the best employees for greater chance of success. Training and development is a way to attract new talents since it is a key feature people usually look for during their job search. Training incentives create a positive image for the company and this definitely has an impact on potential candidates for a future job vacancy. Technology is constantly evolving and companies need to ensure that employees are using the latest technology at its full potential. Technology is giving businesses the ability to boost communication and coordination of purchases. If applied efficiently, it has the capacity to increase revenue and significantly reduce costs. Companies have already gone a long way as far as implementing new technologies is concerned but there is more to go. This is why ongoing training about new technologies needs to be implemented for the best results. By providing training to the employees, employers are actually optimizing their own time and effort. Appropriate training of employees enhances their skills and knowledge about their respective jobs which means that less supervision is needed. In this way, employees have a better understanding of how to deal with their job responsibilities efficiently and effectively for more productivity. It is essential to make sure that your staffs are updated about industry changes. Ongoing training helps them to stay aware of what’s happening in the industry. This will allow the business to avoid being left behind and comply with any industry regulation. Therefore, staffs knowledge and skills about this matter need to be up-to date. 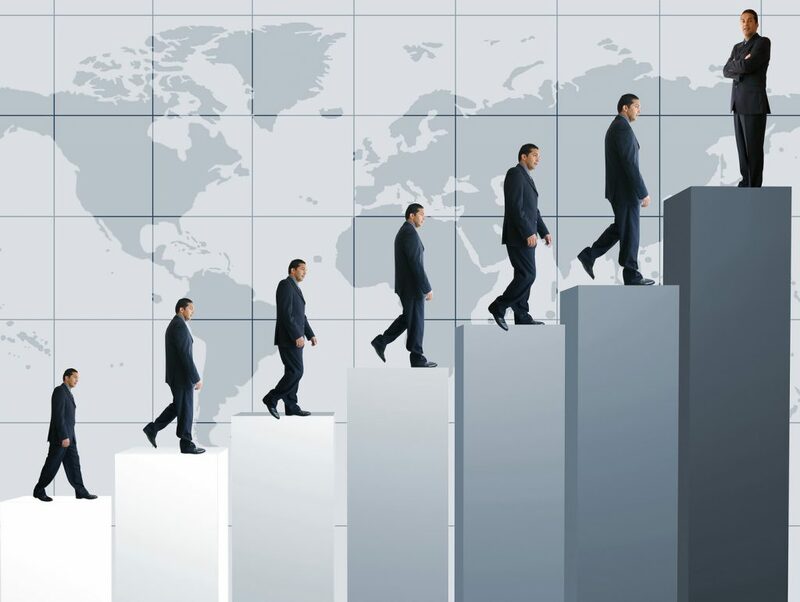 Training and development benefits not only the employees’ personal evolution but also impacts on the company’s productivity and profitability as a whole. It reinforces the goodwill of the business, allows it to maintain the competitive edge and leads to higher customer satisfaction, lower costs and faster growth. At the end of the day, the most valuable training aligns the employees’ way of working to the company’s own culture and core objectives.